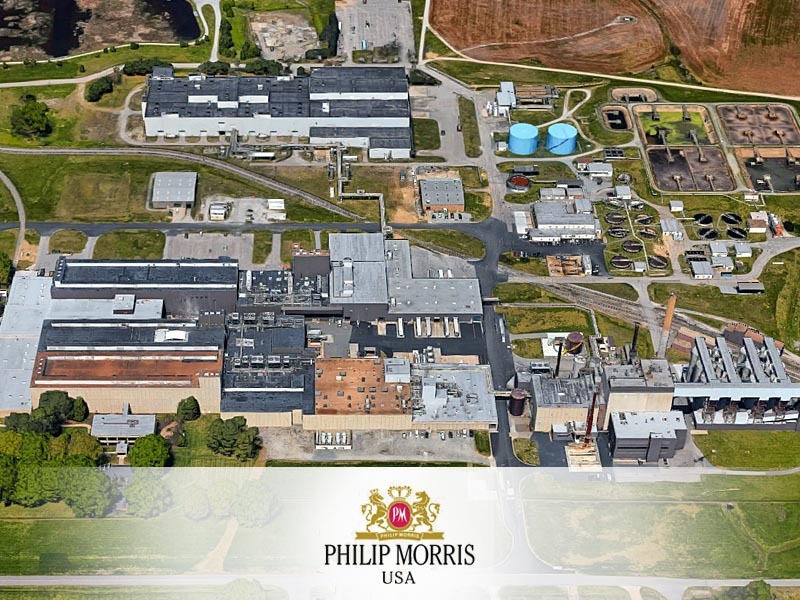 Atlantic Constructors was selected as Mechanical Contractor for this Boiler Conversion project in support of Philip Morris’ coal to gas boiler conversion plant improvement project at the Park 500 facility in Bermuda Hundred, Virginia. This project was 3 months from start of engineering to completion of the conversion. Atlantic Constructors performed the demolition, steel support fabrication and erection, piping fabrication and installation scopes of work for this dynamic project. Phase One of the the project was selective disassembly and demolition which included equipment removal, decommission and demolition associated with Boilers #3 and #2. The # 3 Electrostatic Precipitator was completely removed in preparation for Flue Gas ductwork installation. This conversion of coal boiler #3 to gas also included the idling in place of coal boiler #2. Phase Two of the project was the primary Utility Piping from the new main valve/pump skids to the boiler burner corners and complete replacement and calibration of corner burner equipment to gas and fuel oil burners.